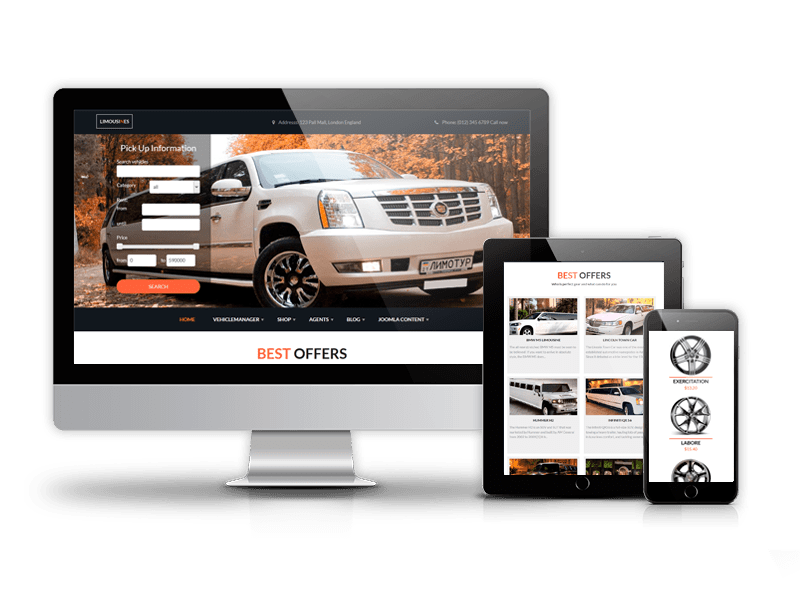 Are you looking for something unique and awesome for you car dealership website template or in need of car sales portal template? 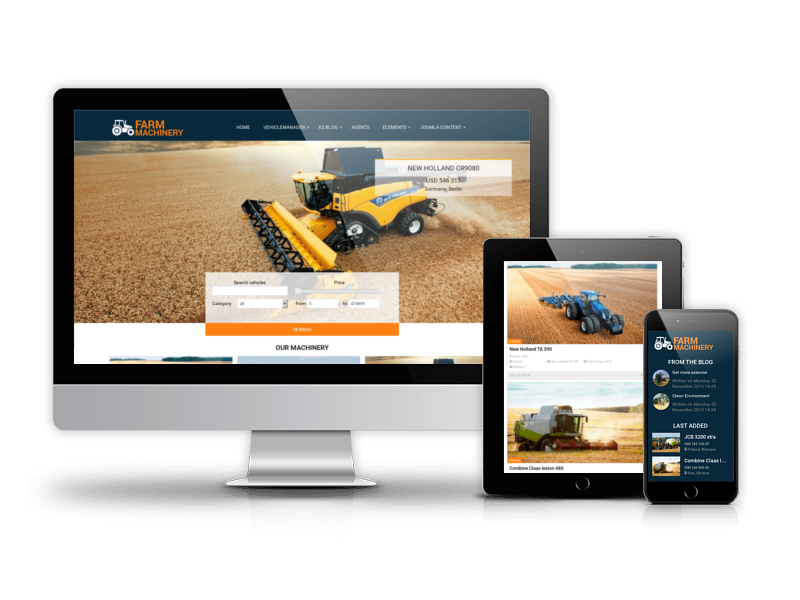 This Joomla template can suit your needs. 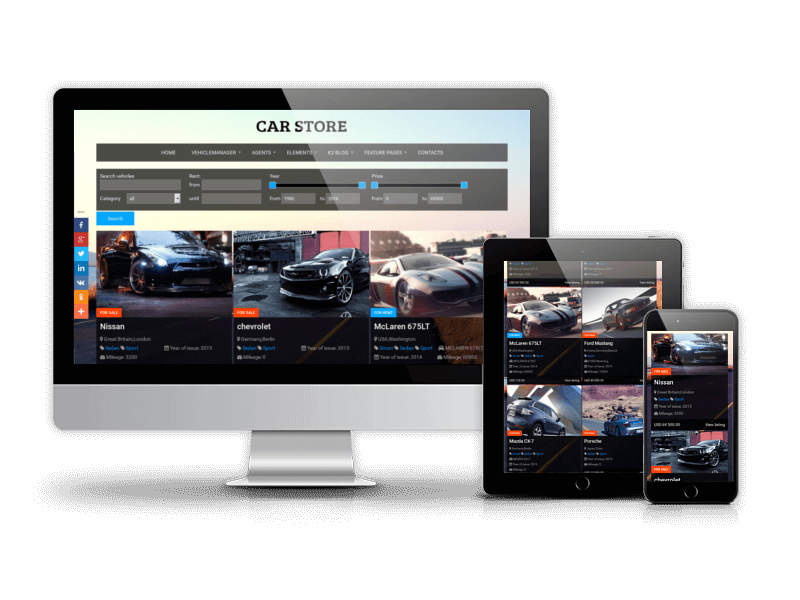 It will be a great choice for car company website, car sellers, dealers, car sales portal and other related car websites. 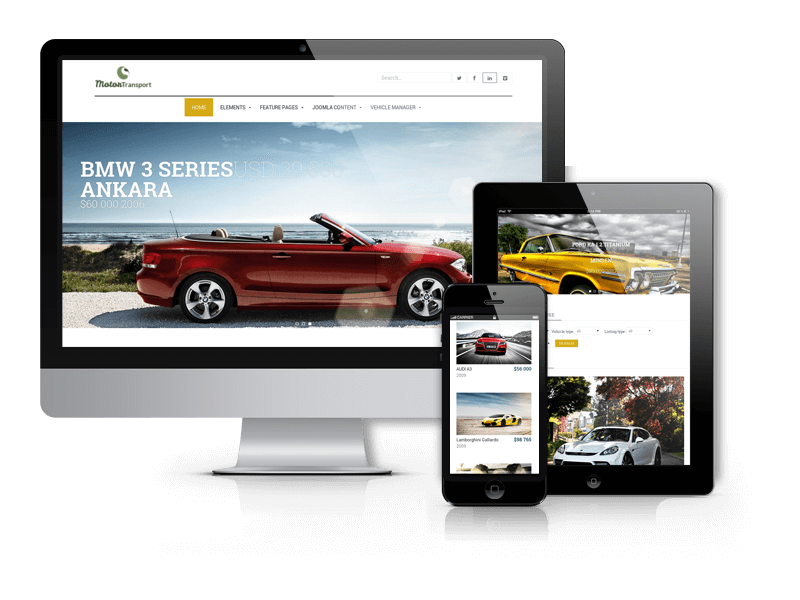 Car Store template for Joomla 3.9.x has elegant and impressive design with beautiful background image and translucent elements. 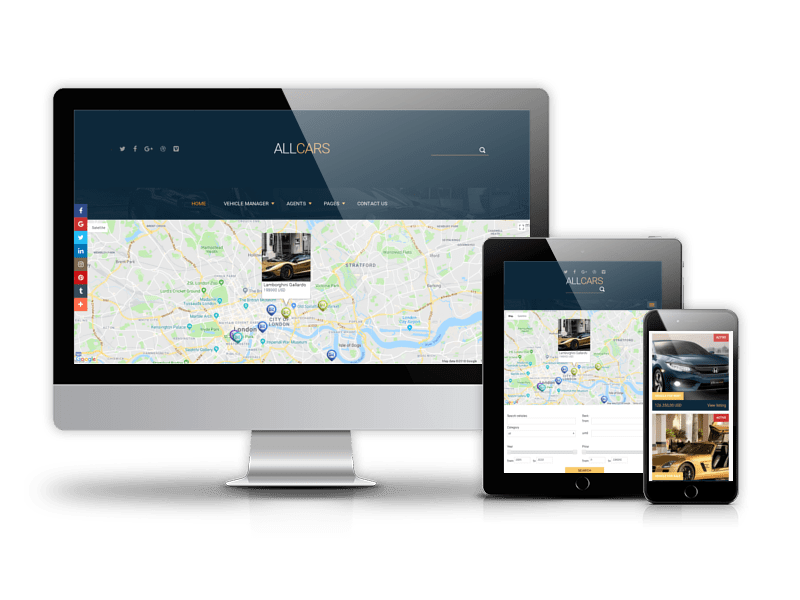 This Joomla template based on Twitter Bootstrap and the latest HTML5 and CSS3 technologies, so layouts are 100% responsive and mobile friendly. 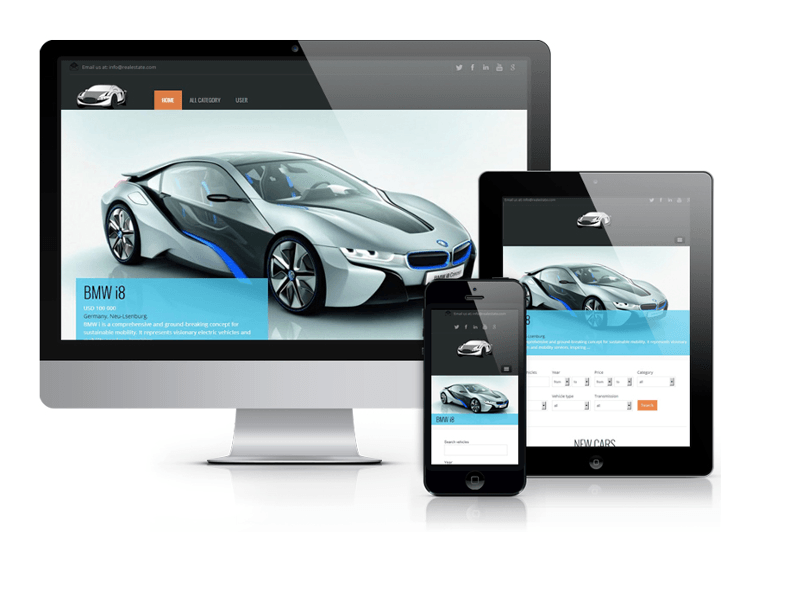 Your clients will be able to reach your car dealer website no matter whether they are on mobile or desktop device. 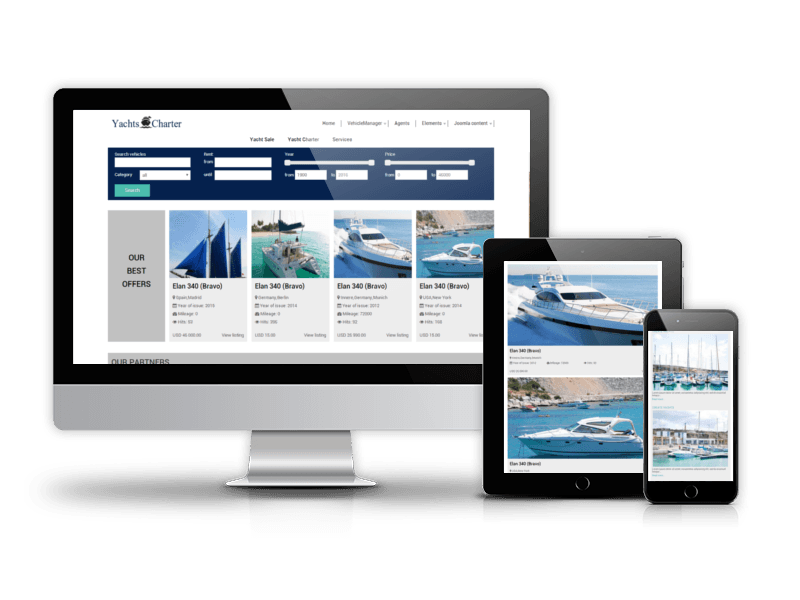 Joomla Blank template allows to customize template easily, e.g. 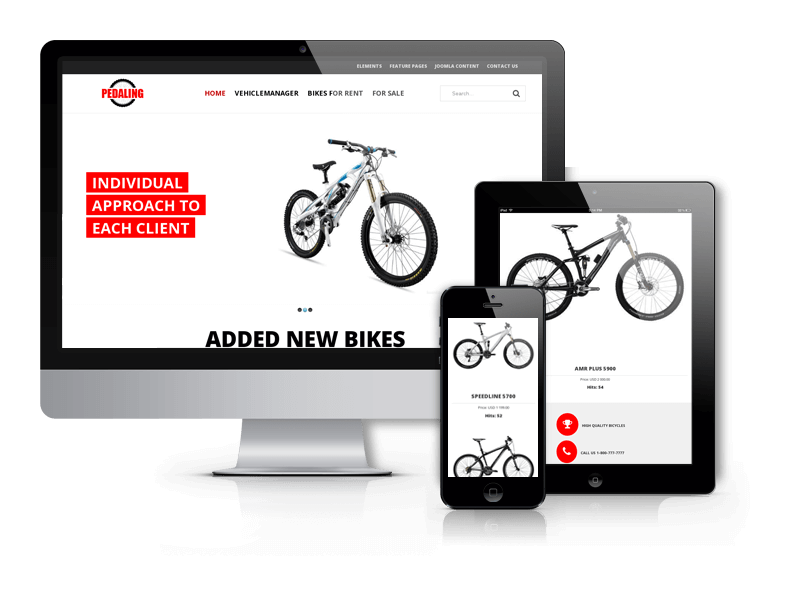 change body color and pattern, upload logo and change its width/height, change body links, typography, insert social links, copyright, tracking Google Code and more. 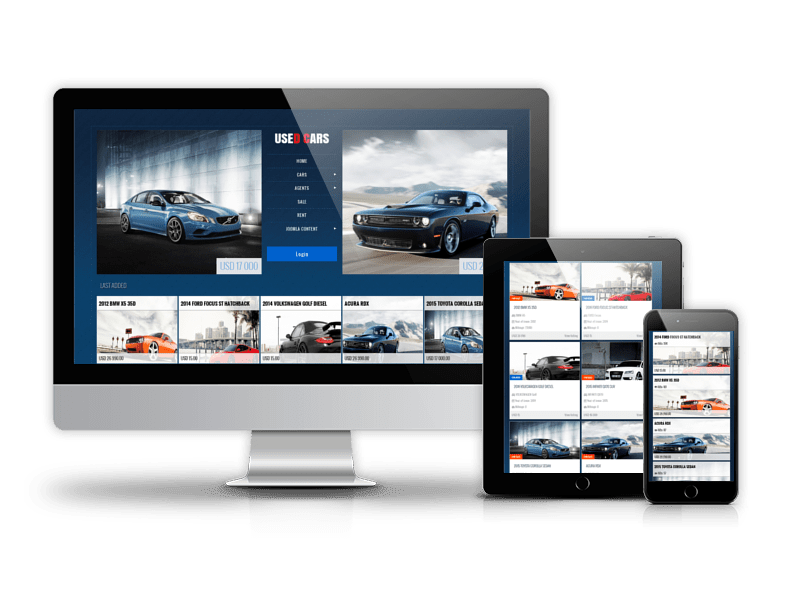 Furthermore Joomla Car Store template includes Vehicle Manager PRO component and modules, so you will get not only nice design, but also strong functionality behind the Car Store Joomla template. 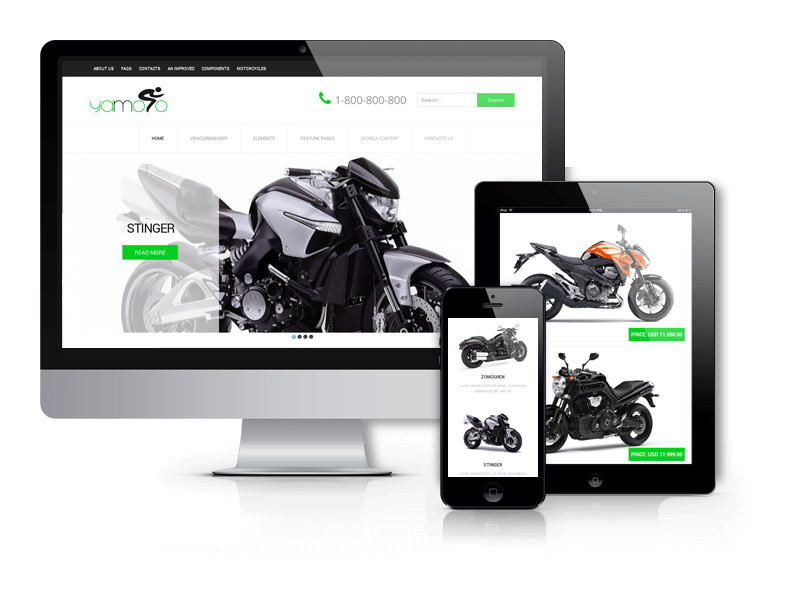 Vehicle Manager v.3.9 allows to add and manage vehicles from frontend and backend, offer online booking, create unlimited categories (with images) and subcategories (e.g. 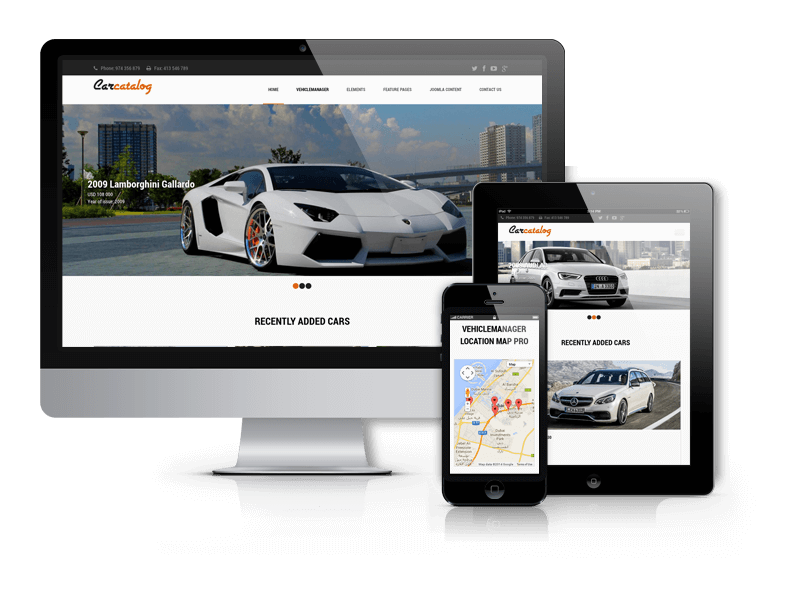 vehicle make, model, maker), create and assign vehicles to several categories, import/export vehicles (csv, xml formats), upload images, videos and additional files for vehicles, manage requests on rent and purchase (accept or decline them), track rent history of selected vehicle or user and much more. Also in template package was included K2 blog with all necessary modules for creation blog. 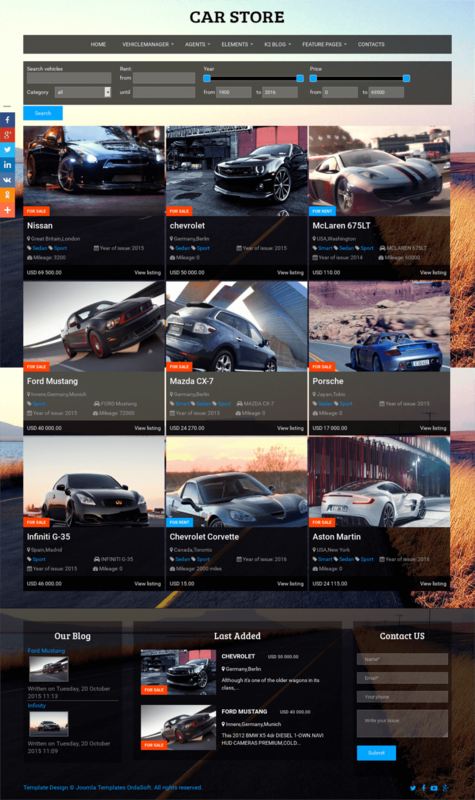 Look at other Car & Vehicle Templates. 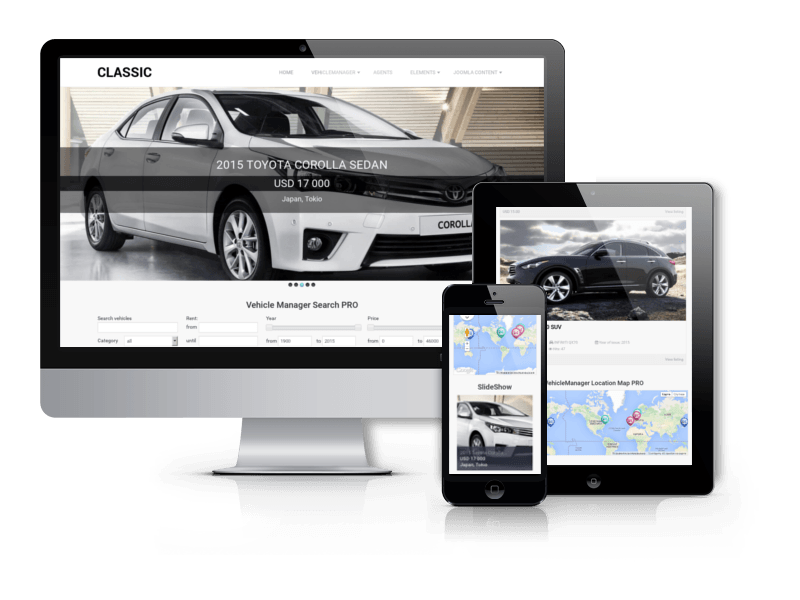 Due to Joomla Blank template, Car Store comes with a wealth of module positions to place your content exactly where you want it. 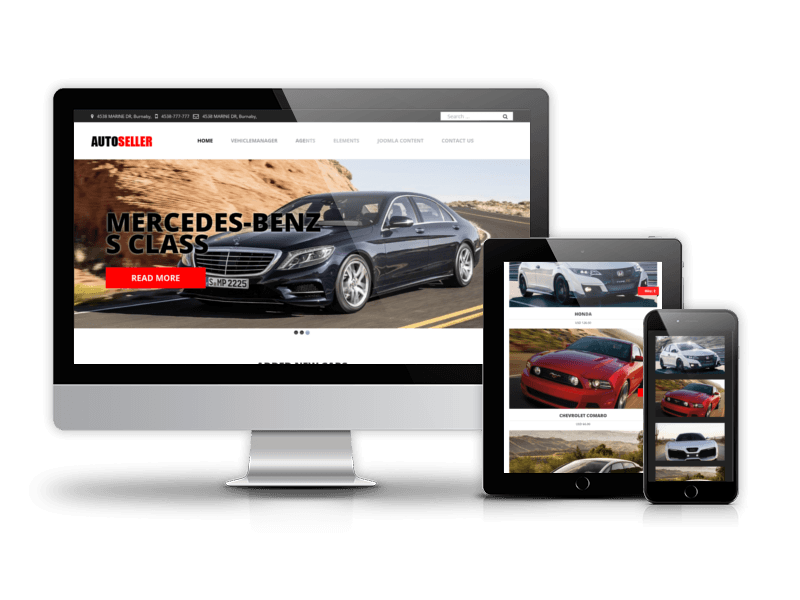 Car Store Joomla template fully compatible with all browsers: Chrome, Firefox, Safari, Opera and Internet Explorer 9+.